Meet Abby, from Trinity animal control. Abby was surrendered to the shelter very pregnant, and gave birth to 9 pups on 12/29/18. 3 of her pups were adopted but the remaining 6 plus mom were transferred to Lucky paws (all pups have been adopted). Abby was abused by a man at some point in her life-she often panics when she sees a man and wants to move away-she will even flinch when ppl she trusts attempt to pet her but recovers quickly once she realizes she won't be hit. So initally she will bark, growl and move away to new men,she doesn't approach to threaten actual harm. Shes been in 2 fosters with men and in about 4 days she totally bonds and stops that behavior with men, she has a very forgiving soul once that trust earns she is delighted to see anyone shes bonded too-its really sweet to see. In her foster in cali where she raised her pups she warmed up to the man of the house. Now in foster in Oregon shes living with 2 men and totally adores them. Food is the key to her heart. She LOVES to play with other dogs, becomes your total shadow. A bit insecure at first and worried about all the change and will follow a lot, but firm boundaries and she will settle in. She doesn't pay attention to the house cats nor did she pay attention to the shelter cats. She will seek to play with a kitty who wants to play back but listens to their cues. She is 100% house trained. Give this special girl 24 hours to decompress in your home and you will see the side of her we see that is loving, happy, and sweet. She is so nervous meeting new people its hard to see that at first, but in the 2 fosters shes been to thats been her pattern to feel safe. Best thing about Abby is once that bond is set, she doesn't seem to forget people. I've met her 2x and she thinks we are best buds now. All dogs are fixed, vaccinated, and adoption includes being microchipped, current on flea/tick prevention meds and has been dewormed. They come with a collar, 2 free vet exams, a bag of grain free dog food, and a private training session with certified trainer, and more! adoption fee: $200. We accept Cash and Debit/Credit Cards. There is a 2.5% fee if using a card at the time of adoption. 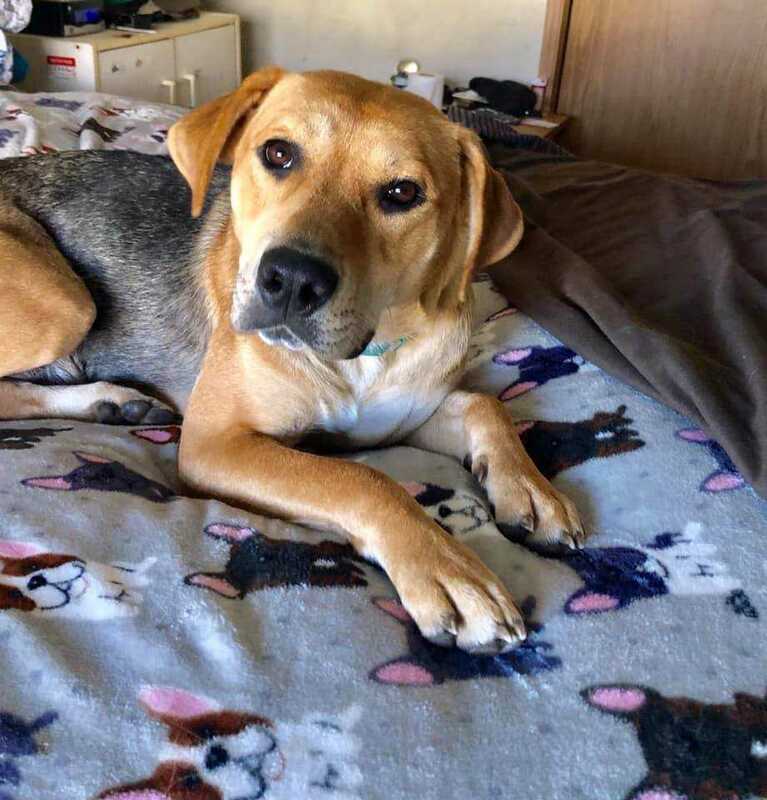 If interested in meeting this dog, please email: adopt@luckypawssite.org to request an application or come down to our public adoption event this Saturday 4/13 12:30-4pm at Petsmart in Eugene (2847 Chad drive) in the back of the store.